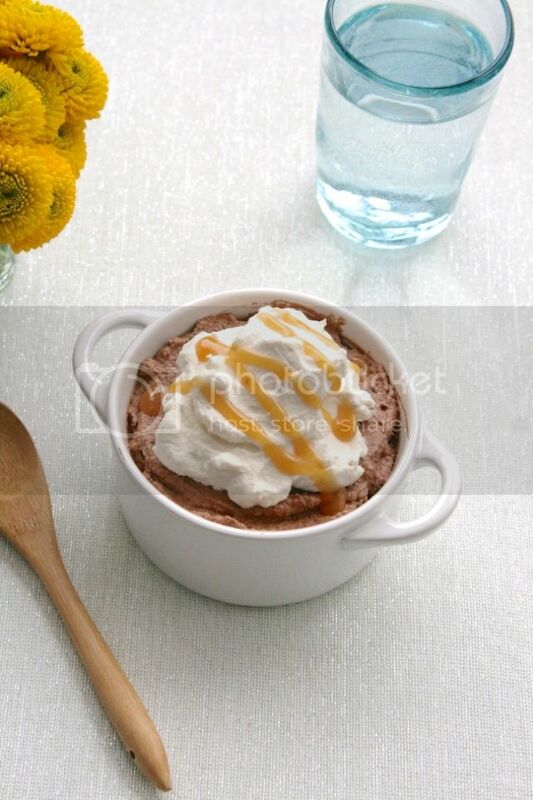 Simple Sweets: Chocolate Mousse with Salted Caramel Whipped Cream! / Hey, EEP! 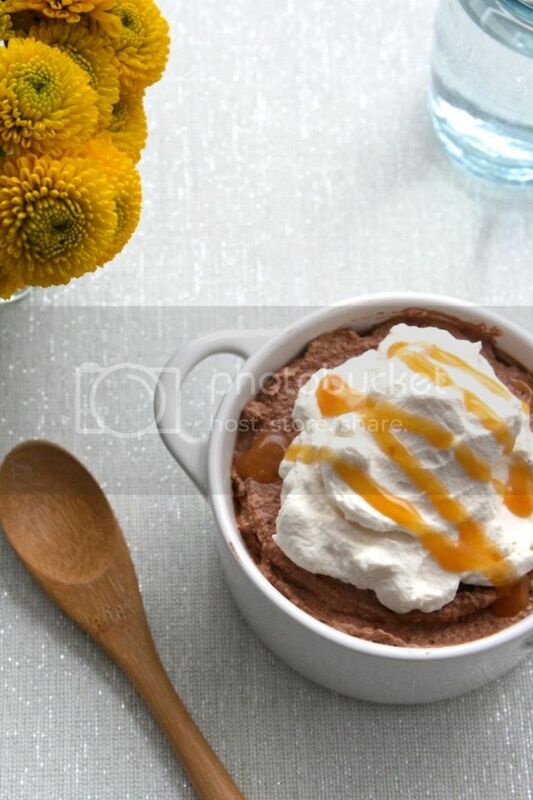 Simple Sweets: Chocolate Mousse with Salted Caramel Whipped Cream! 1. Make the mousse: Put the chocolate in a large microwave-safe bowl and microwave on High in 30 seconding intervals, stirring, until melted, 1 to 2 minutes. Let cool slightly. 2. Beat the heavy cream in a large bowl with a mixer on medium-high speed until soft peaks form; set aside (or beat it by hand over a whole of ice). In another large bowl, with a mixer fitted with the whisk attachment, beat the egg whites until frothy. Add the sugar, increase the mixer speed to high, and continue to beat until soft peaks form. 3. Add the egg whites to the bowl with the melted chocolate and gently fold to combine, using a rubber spatula, then fold in the whipped cream until no white streaks remain. Divide among cups. Cover and refrigerate at least 1 hour or up to 1 day. 4. Make the whipped cream: Beat the heavy cream and granulated sugar in a large bowl with a mixer fitted with the whisk attachment until soft peaks form. Fold in the caramel sauce and salt using a rubber spatula. Top mousse with caramel whipped cream. Drizzle with more caramel sauce and flakey sea salt, if desired.